Today’s giveaway is just a prelude for what’s to come. During the next few weeks, we will be giving away $500 in prizes so be sure you are following Clean Wholesome Romance so you don’t miss your chance to win! He needs this job to honor his late wife. She needs to complete her late fiancé’s bucket list to be free. Former action-movie star Chet has counted the days since he lost his wife last New Year’s Eve almost a year ago. When he’s given a shot at starring in a reboot of her favorite TV show, he jumps at it. But there’s a catch: the producers won’t hire him unless he can prove he’s regained emotional stability—by bringing a steady girlfriend to his five auditions. Which means: five mandatory dates for this bereft widower. Social worker Holly lost her fiancé to war. With his good life snuffed out too soon, she feels compelled to finish his bucket list of unselfish deeds. But four years later, several remain, and they’re ridiculously impossible. Until she accomplishes her soldier’s dreams, she can’t even consider moving on with her life. When they meet on the beach at Getaway Bay, what she doesn’t know is homeless-looking mourner Chet is actually Colt Winchester, screen star and fashion icon. What he doesn’t know is that he’s a means to an end. “Who says no to a sugar cookie?” Holly took two—a star and a snowman. “Thank you.” One bite of the star’s vanilla-almond buttercream frosting sent her mouth into ecstasy. “These are good,” Chet ate his green-frosted Christmas tree in two bites. Chet caught Holly off guard. He hadn’t seemed like the type to make such a tender analogy. “Where’s that platter? We should get more of those.” Spoken like a true hungry person. Holly had never experienced true hunger, at least not physical hunger. Maybe Chet needed more cookies. “If we walk around, we might run into the sugar cookie person again.” Or someone with another kind of food, if Chet needed it. However, tonight, Chet seemed a lot less like a guy who needed to fish to feed himself than he had the other day. Girlfriend. Holly stared down at their clasped hands atop the green velvet tablecloth. His were rough, like they’d held a fishing rod in the sun for a lot of hours, day after day. She’d seen him on the shore. He needs a promotion. She needs to stay in the country. Piper Quinn has a great thing going. She’s young, talented, and the sole chef at Du Jour, San Antonio’s hottest lunch bistro. She and her business partner just have to stay open one year to be eligible for the coveted Texas Star. Days before eligibility though, Piper gets terrible news: she’s getting deported. To New Zealand. Where her parents have joined a hobbit cult. Attorney Zach Travis can’t seem to break into the partnership bracket at his big, respected firm—despite his stellar record. Then, Zach hears a rumor his bachelor status may be holding him back, and he needs a wife to advance his career. The girl at the bistro is an intriguing candidate. As Piper shares her desperate plea for legal help, Zach realizes he can fix both their dilemmas—with a marriage certificate. However, their plan puts them in the cross-hairs of more than one vindictive enemy. Worse, neatly ending their marriage may be tricky due to a sparking chemistry neither Zach nor Piper can ignore. Right. Piper nodded, listening carefully, but promising with her eyes not to accept Cora’s words as gospel. That sounded awful, like it would involve living in a cave with cave rats and water dripping with plinks into limestone ringed pools, and like it wouldn’t solve anything. Married! A huge hand gripped Piper’s heart and squeezed. Marry someone? But who? She was dating Chad. She guessed she could ask Chad when he called her back. Wait. A proposal over the phone? Ugh. Her head dropped into her hands as she passed the Unique Boutique with all its incense and bath soap smells. This was just getting farther and farther away from the ideal she’d been taught all her life—man proposes on one knee after asking the permission of his bride’s father. Uh, none of that was happening. Great. So, it looked like this warped version of her life was the new normal. And she’d better get used to it or else start planning her future home decor around circular wooden doorways and houses where even she at five-foot-nothing had to constantly stoop. Her back ached just thinking about it. Her phone rang. Oh, good. Chad was calling her back already. How unexpected. Her heart clutched. How should she break it to him? Instead, she should just tell him they need to meet up. This conversation should happen when she could look in his eye and talk it out in person. The implications. The duration. The…oh, geez. Now it really did feel like fraud. She gave another little nervous laugh. How was Chad going to react? Her trial balloon could be shot down by his bazooka at first float, and then where would that leave her? Uh, this wasn’t Chad’s voice. She stopped dead in her tracks on Market Street. This wasn’t Chad. This was Zach Travis. Jennifer Griffith writes light, sweet romances she calls Cotton Candy for the Soul. Her Legally in Love Collection stems from the fact she fell in love with a handsome law school student who now serves as a judge—as well as her muse. 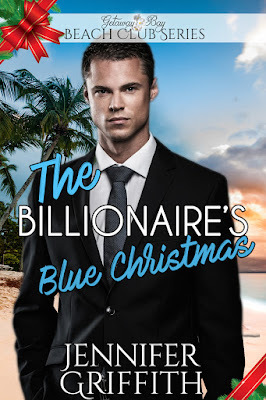 She also writes the Billionaire Makeover Romances, billionaires and makeovers being some things with which she has less experience. There’s more to this Aussie cowboy than meets the eye. Former grad student Eliza works as a nanny for a self-absorbed trophy wife looking to trade up for a new husband and ditch her child. Eliza will do anything to protect the little girl and open her boss’s eyes. Even if it requires an elaborate hoax. Then fate hits Eliza with Henry, a bewildered, dirty guy at the bus station. He’s got amazing teeth, cowboy swagger, and an accent to swoon for. Everything is falling into place for a rags-to-riches-style bait and switch. But will it deliver a slice of humble pie to Eliza’s boss—or get Eliza fired? Worse, refining him might mean losing her heart. “Are you okay, sir?” I couldn’t help asking. He looked so forlorn. “Actually, an international phone. That’s what I really need.” As he said the word need, I caught a glimpse of his teeth. Okay, I might have a thing about teeth. An obsession, Polly calls it. A very good set of teeth can completely blind me to myriad other characteristics that would make a person otherwise unappealing. And these teeth happened to be the best, most dazzling teeth I’d ever seen. My heart may have skipped a beat. Maybe it was because they contrasted so starkly against his sunburnt face, or played so nicely off his extremely messy blond hair, but suddenly, I was entranced and ignoring everything else that I should be paying attention to—like the fact he was a homeless man who lived at the bus station and was asking to borrow, or possibly steal, my phone. Today we not only finish bringing you fabulous clean romance books to celebrate Valentine’s Day, but we get to reveal the brand new cover for this book who might be more appropriate for the male readers in your life! This book won the Best Books of 2014 Award on Amazon and there is a rumor going around that it is in the process of being made into a movie! Author Jennifer Griffith herself did write a screen play. Jennifer Griffith is a wife and a mother of five, and although she’s never seen a Jennifer Griffith is a wife and a mother of five, and writes all manner of romantic comedy–her husband supplies the romance, and the kids supply the comedy. She lives in Arizona now, but in college she lived in Japan for almost two years. 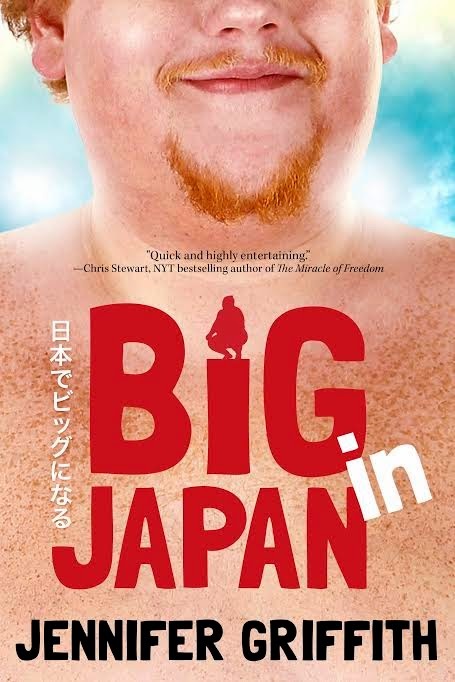 At 5’1″ tall, she never once sumo wrestled. Don’t forget to get your name into the giveaway! Be sure to check out the other blogs revealing this fabulous cover today for snippets, and fun facts about this amazing author! Seven years ago, Cambri Blaine fled her small hometown of Bridger, Colorado after her senior year ended in a fiasco. Only Jace Sutton knew the real reason why—that she was a spineless coward. Now, seven years later, her father’s had a heart attack and needs help, and Cambri has no choice but to return home. So with trepidation, she takes a leave of absence from the landscape architecture firm where she works and boards a plane, hoping against hope that Jace is no longer around and that the past can stay where it belongs—in the past. Jace never expected to see Cambri again. After she’d led him on, bruised his heart, and left town without a backward glance, he was forced to pick up the pieces and try not to hate her for it. Eventually, he put it behind him and moved on, creating a life for himself in his beloved hometown. But now that Cambri is back and looking more beautiful and sophisticated than ever, some of those old feelings resurface, and Jace instinctively knows, for the sake of his heart, that he needs to avoid her at all costs. Cambri did what she was best at … She ran away from the things that scared her the most. Cambri is determined and practiced in the art of avoidance maneuvers. Jace did what he was best at … He came back home to take care of everyone and everthing in his own way. Jace is loyal and dependable. They were the best of friends in high school, an unlikely pair. And then it changed and Cambri ran and Jace couldn’t forget that kiss, or her. 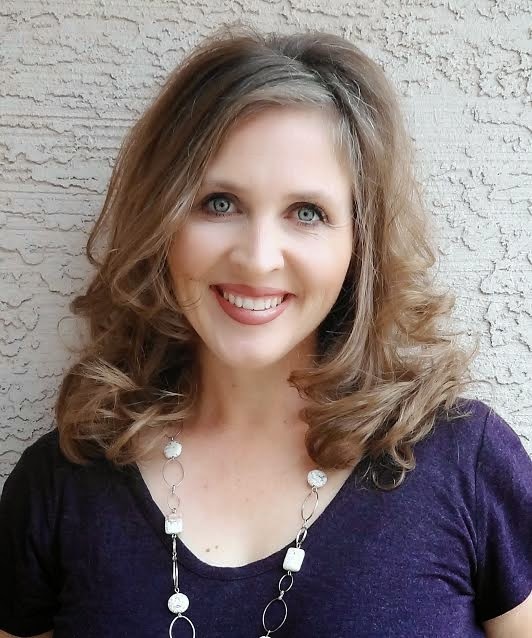 Rachael Anderson has wrapped her arms around these characters like they are part of her heart. And now they are a part of mine. Tune in for the third book in A Ripple Effect Romance and see what Bridger has in store for Cambri and Jace. I highly recommend Righting a Wrong by Rachael Anderson, Book 3 in The Ripple Effect Novella Series. Don’t forget to stay in touch as I follow The Ripple Effect Novella Series from beginning to end with Inspired Kathy from I Am A Reader. Eden Torresi has every reason to wallow. Not only did she have to sell her house to pay for her mother’s medical expenses, but she also had to drop out of school and is in a relationship with a guy unwilling to commit. But Eden isn’t the wallowing type. Instead, she chooses to spend most of her time taking care of the seniors at Silver Linings Assisted Living. When she learns that her boyfriend’s new roommate is down on his luck, her caring nature makes her want to reach out to him and offer what help she can. But the more time they spend together, the more complicated things get, especially when the seniors of Silver Linings decide to play matchmaker. Silver Linings by Kaylee Baldwin is a touching romance and a quick read for a cold (still) winter evening at home. Eden has faced more than her fair share of sorrow, and faces even more with the realization that her mother is dying. She could become worn and bitter, angry with the hand she has been dealt, but Eden chooses to focus her energy in helping others. 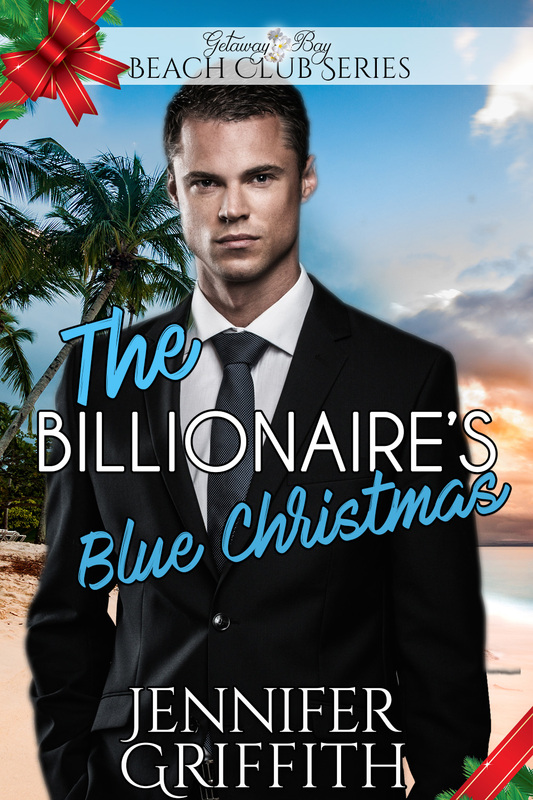 Drew finds that his “silver spoon” lifestyle and the family business come with a price too high to pay. So he walks away from it all and finds himself in Colorado, cold and lost, in a wrecked car and a long walk to anywhere for help. Silver Linings is the local assisted living center with the local colorful elderly folks that can’t help but get involved when they see their beloved Eden isn’t particularly enthralled with her comfortable, but passionless, relationship. I enjoyed the characters as I rooted for the happily-ever-after ending that I wanted Eden and Drew to find together. I can recommend you read this second installment in The Ripple Effect Romance series. I know I am looking forward to seeing what, and who, comes next! Drew could tell a non-invitation when he heard one, so he nodded. He did get out of the car—where somehow it was less cold—and stomped his feet a few times while she walked up the stairs, a firm grip on the rail. She disappeared through the door. A few minutes later, she came out, the worry lines back on her face. Instinctively, he moved closer, but before he could say anything, her heel slipped out from under her and she slid down several stairs. He rushed over to stop her fall, catching her just before she fell down the last three steps. “Are you okay?” Drew’s heart pounded with adrenaline. She let out a short, humorless laugh. “No.” He noticed her limping when they started toward the car and he slid his arm around her waist. Drew stopped walking and stared at her in disbelief. Once a week? “I’m fine. Really. But we’ve got to go before it gets too late. Thank you, though.” She glanced up at him and Drew’s breath caught in his throat. The sunlight kissed her pale hair, skin, and eyes, reminding Drew once again of an angel. She was so beautiful. So kind. And so taken. “Yes. Silver Linings.” She wouldn’t meet his eyes, and he didn’t think it was his imagination that she sounded breathless too. When Kaylee Baldwin isn’t writing, she’s usually chasing after her four children, checking her email, trying to get motivated to train for that race she shouldn’t have signed up for, hanging out with her pretty awesome husband, and reading whatever good book she can find. She graduated from Arizona State with degree in English Lit. 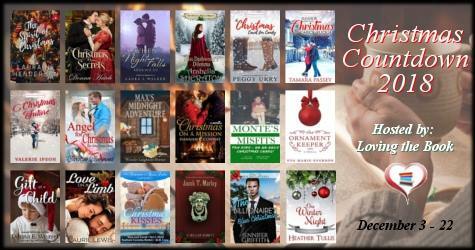 Her published books are Meg’s Melody, Six Days of Christmas (part of the All I Want collection) and Silver Linings.